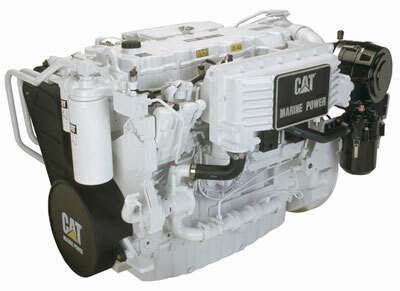 Caterpillar Marine Power Systems has announced that the Cat C9 ACERT marine engine is now compatible with the innovative Zeus Pod Drive. According to Caterpillar, because the Cat C9 ACERT engine is perfectly balanced with the pod drive, customers will notice smoother and more accurate maneuverability from the independent joystick control. Another advantage is that the aft-facing pod drive results in greater efficiency, without sacrificing safety because the propellers are protected by the pod’s gear case and a skeg should the drive encounter underwater debris. 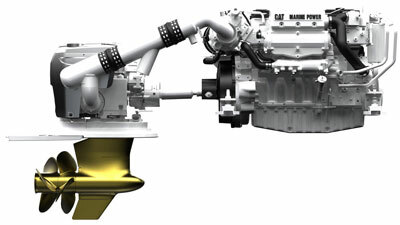 The Caterpillar C9 ACERT – Zeus Pod Drive System combination was tested with different yachts under a variety of conditions, including a 44-feet Sea Ray yacht that completed a demo tour along the eastern seaboard of the United States. Regular deliveries of the package began in summer 2009, following great interest expressed by well-known yacht builders world-wide.